Replies: 202 (Who? ), Viewed: 192954 times. #1 28th May 2011 at 8:47 PM Last edited by cmomoney : 31st Aug 2012 at 2:08 AM. 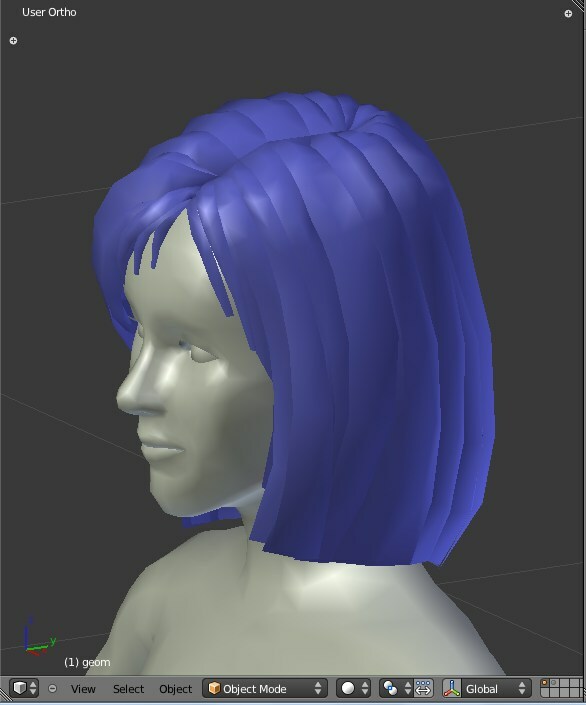 This script is for importing/exporting hair and clothing into Blender 3D 2.6. I would appreciate any help in testing and comments/suggestions. Note: Download is now a zip file, and Blender can install directly without extracting. 1. Download the "io_TS3_geom.zip" and put it where you can find it. 5. Navigate to where you extracted the file and select the "io_TS3_geom.zip" and click "Install Add-On". Sims 3 GEOM Import is added to the the list. 6. Click the check box to the right of the TS3 Tools in the list. The importer is added to the File->Import menu, and the TS3 GEOM Tools panel is added to the Properties Editor under Scene. Start Blender, and in the Properties editor under Scene, click the Import button in the TS3 GEOM Tools panel or go to File->Import->Sims 3 GEOM. Navigate to the your folder and select the .simgeom file. You can also import more than one file at once. In the Import Geom options(in the left panel towards the bottom) select the rig to be used with the GEOM(if you don't have the Rig Editor, no rig will be loaded, but GEOM will still load). With the GEOM mesh selected, click the Export button in the TS3 GEOM Tools panel or go to File->Export->Sims 3 GEOM. Then select the original file in the browser. The original file will be made into a .bak file, and a new file will be created with the original name. -committed rig import with GEOM. Download is now a .zip file, since Blender can install from zip and put everything where it needs to go. Okay, I installed it and loaded a .simgeom. Yay! Okay, now it filters for .simgeom and removes itself from the menu when disabled. Now that you mentioned it, I need to to that to the my other tools. Thanks, lenglel. seperate from the rest of the head. it, but I'm not ruling it out. What do you think? Okay, I got that worked out, so those meshes should import without error and with proper assignments/weighting. Busy coping with latest patch, will get back to this. #11 16th Sep 2011 at 6:24 AM Last edited by missy harries : 16th Sep 2011 at 7:12 AM. EDIT: The GEOM import also disappears from the import tab once blender has been shut down, it has to be re-loaded from user preferences on every start up. I've updated to remove that error. It wasn't hurting the mesh any, more of a UI problem. As for the script reloading, if you want it to be there when you open Blender, you have to save you user preferences after you enable the script. Don't save it in the User Preferences window. Just start Blender, open the User preferences window and enable the script. Then close the User Preferences window, and go to File->Save user settings. So far I'm having no issue loading clothing, As you said, the bone assignments are correct. Sadly, I'm not really well versed on what I should be looking for error wise. I'll keep playing around and report any issues, unless there's another way I could be helpful. Thanks, pandaseal. Really, if there is an error, Blender will happily let you know, believe me. I just needed to know that it is working on various CAS parts before I moved on to the exporter. I got an error when I try to import this specific hair .simgeom file. I tried a couple other .simgeom hairs before and was fine (with blender 2.49 and the geom script) but for this hair I got errors from both 2.49 and 2.59 and hair won't load. Maybe someone can try the file and see if i'm doing anything wrong? I extracted the .package with s3pe. Something is wrong with the GEOMs in that package. Is there any kind of feedback in particular you are looking for? I've been messing around in Blender a little, and I would love to help if I can. I'm using a mac, I don't know if that matters or not though. I have the same problems. So far, I've only gotten this thing to work with clothes meshes for bottoms and tops. Full-body clothes meshes don't work with this addon for me. I've tested this with at least 3 dresses, 1 EA-made and 2 custom made, with the same results - the same errors you recieved with the hair and none of the dresses showed up in Blender. Are you going to do the export? Please do it! #22 18th Dec 2011 at 9:05 PM Last edited by Mama0607 : 18th Dec 2011 at 9:17 PM. If I read the thread right, there wasn't enough feedback coming in for the plugin he was trying to create for him to keep going. I think I read that in another thread in the forums. If you really want to keep creating, you could get the older version of Blender and get the import/export plugins for that version. I am doing that. Milkshape isn't worth 35 dollars at the moment. I don't know if that is still a valid option. I read it somewhere that you could do that. Then it comes here because that one was outdated. Actually, I have been working pretty hard on the export part, but I've run into some problems with clothes, so I'm not ready to sharing it for testing yet. 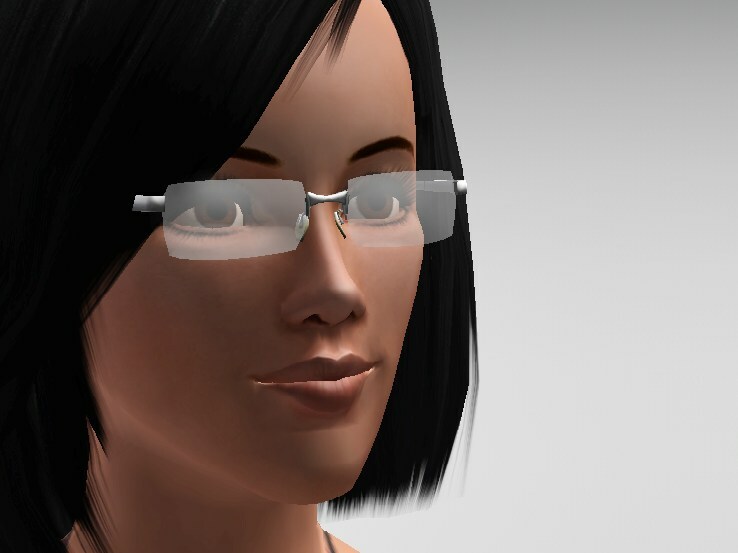 I do having it working for accessories though, I made these glasses while testing. So far it seems to work without any problems.